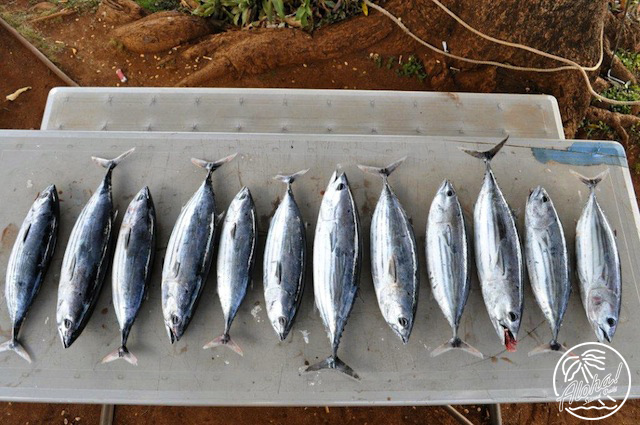 Woke up early Sunday morning and braved the hellacious winds and was rewarded nicely with these tasty treats. Aku katsu, aku and eggs, dry aku, garlic aku… ect.ect. 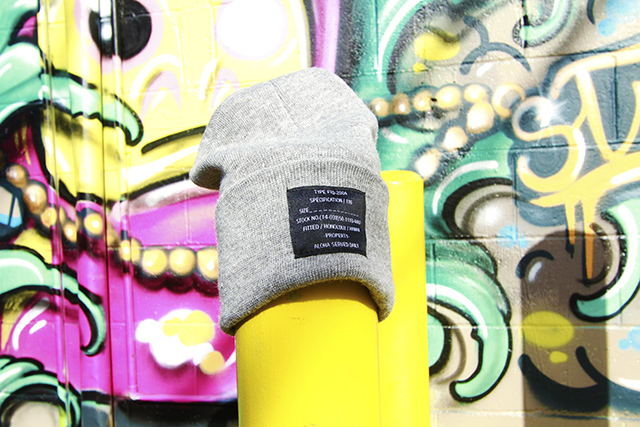 We’re offering three new FITTED beanies today at 11 AM. (please note: these are extremely limited!). 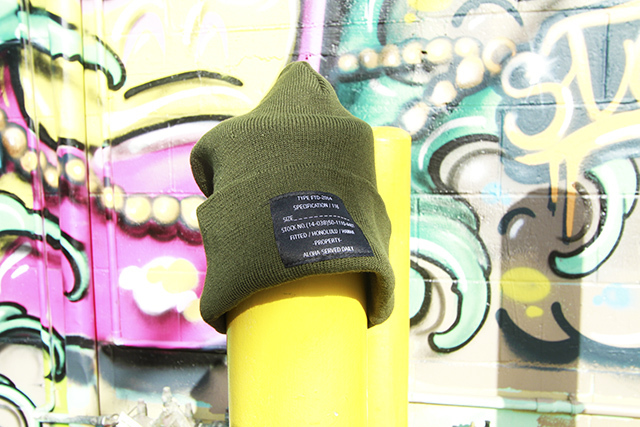 Three colors: Army green, Black and Gray with MILSPEC black labels. Act fast before they’re gone! 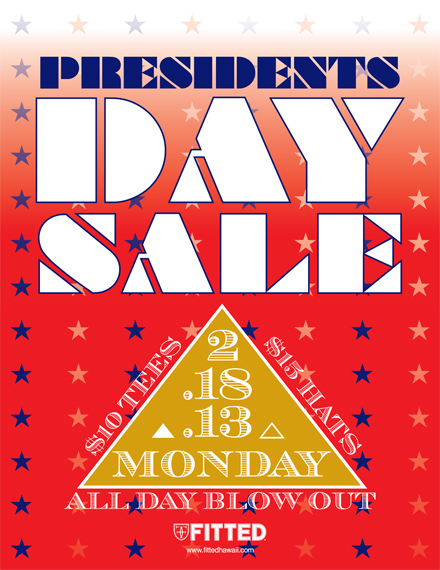 Hope you all had a great day off for Presidentʻs Day yesterday. 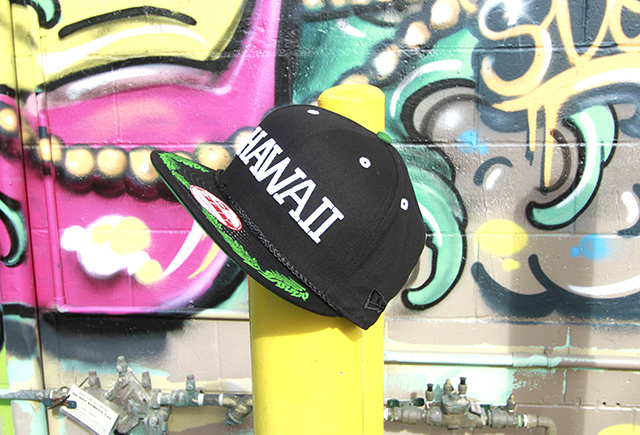 Back to our regularly scheduled program: Tomorrow, weʻre releasing a brand new ʻAina snapback: all black cap with green leafs stitched on the brim, a black rope that runs along the front of the cap and white Hawaii stitching and eyelets. Green underbrim and button, white snap. 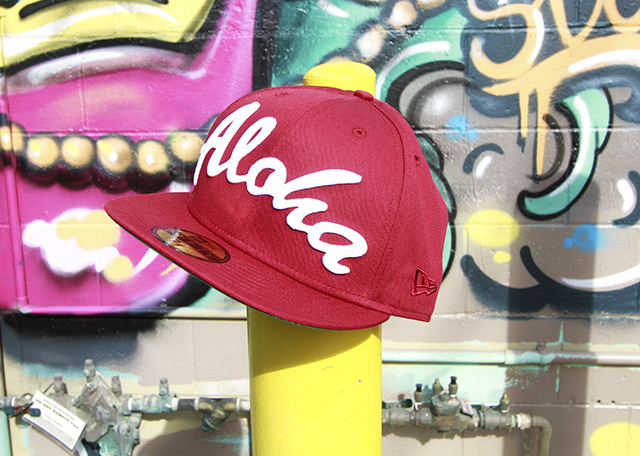 Also releasing: a maroon Aloha New Era fitted with white stitching, white FITTED crest on the back and green underbrim. Valentine’s Day is a few days away, and as we do every year, we’re releasing a special pack for the occasion. 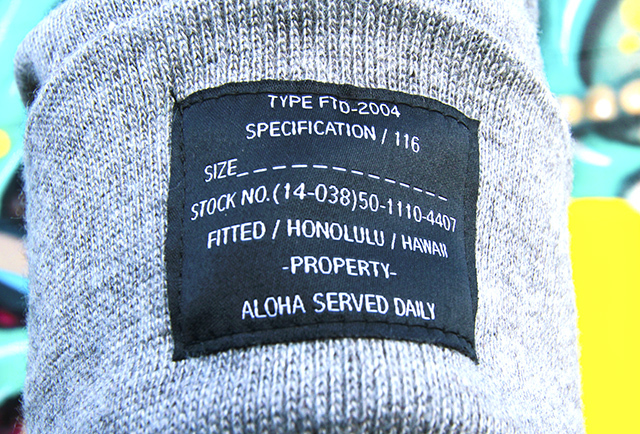 Pictured above (left side) is the men’s tee which features Aloha Served Nighly (as in “Love Served Nightly”) on the back, and a red “V” or “heart” made out of trilocks. The model above (right side) is wearing the women’s style, a deep v-neck featuring the same pattern. 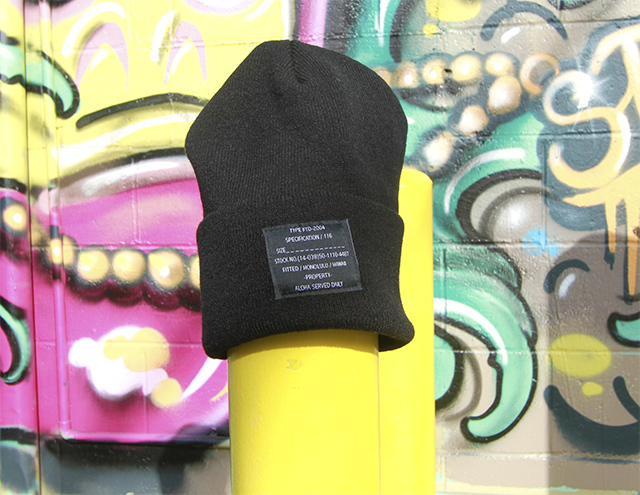 Please note, the two hats pictured above will be releasing next week. See you tomorrow! 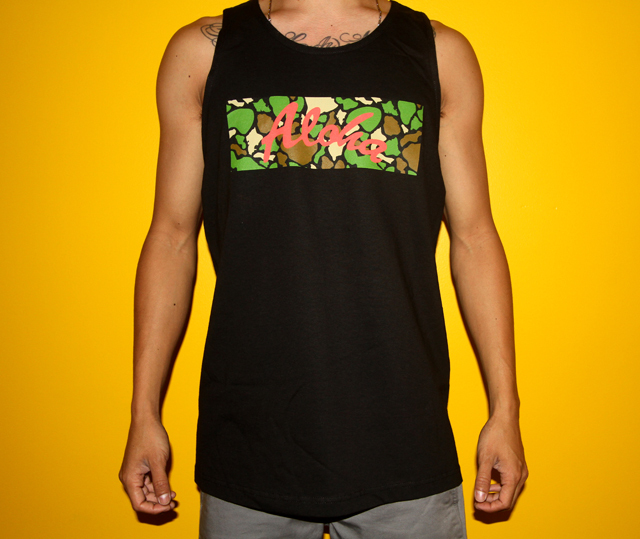 ALOHA ISLAND CAMO (POW WOW TANK TOP) NOW AVAILABLE ONLINE! Available to purchase online now! 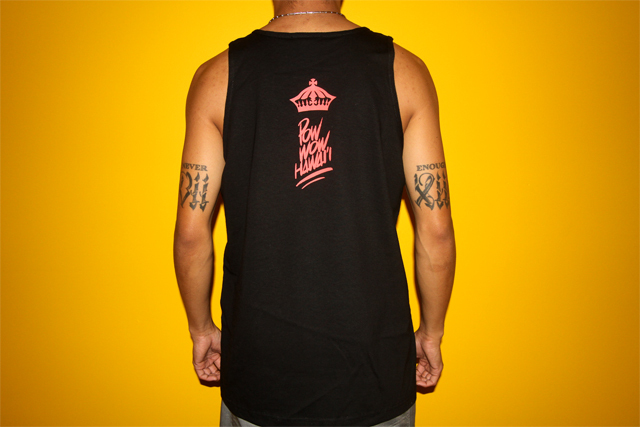 The fourth annual assembly of like-minded contemporary artists known as Pow Wow Hawaiʻi is upon us, and weʻve teamed up with them to collaborate on a special project that features a custom fitted snapback, two t-shirts and a tank top. Letʻs break it down real quick: Weʻre releasing a custom island camo snapback with pink Aloha scrip, black brim and pink underbrim with Pow Wow Hawaiʻi stitched on the back in pink. 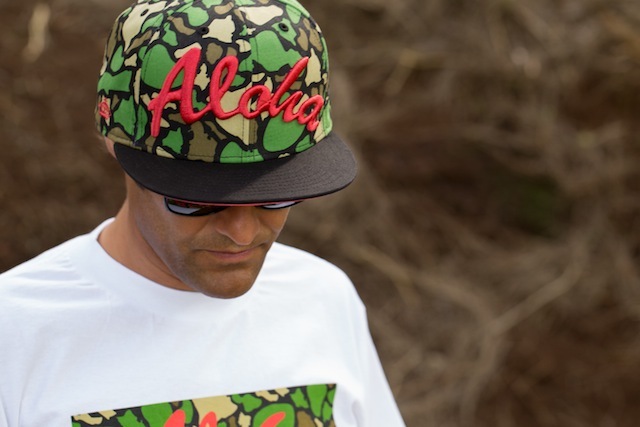 Weʻll also be releasing a white Aloha tee with the same island camo fill as seen on the hat, FITTED crown and Pow Wow Hawaiʻi on the back, a black tank top with pink Aloha and island camo fill (not pictured), and a white Pow Wow Hawaiʻi t-shirt with black and white shaka fill on the front. 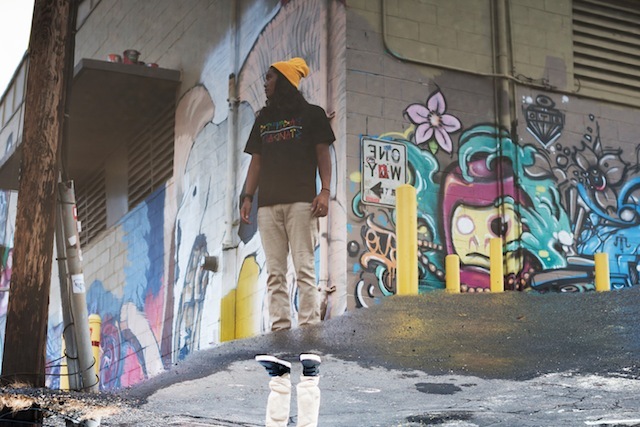 Please note, the black Pow Wow / shaka tee you see in the photos is a Pow Wow exclusive. The rest of this pack will be available for sale in-store and online at 11 AM. Mahalo to Pow Wow Hawaiʻi.